Satin Steel XTS are instruments for shaping, filing and placing composite or plastic material. All are made of highly polished stainless steel for nonstick applications. 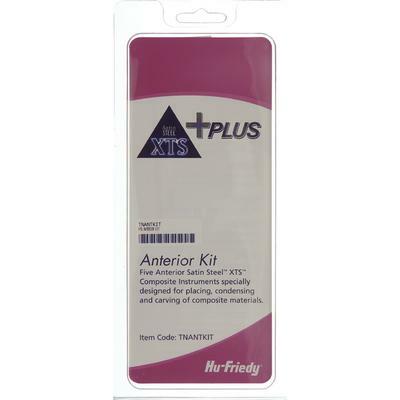 The anterior kit is specially designed to be used for placing, condensing and carving composite materials.